Returns a geometry/geography that represents all points whose distance from this Geometry/geography is less than or equal to distance. Geometry: Calculations are in the Spatial Reference System of the geometry. Introduced in 1.5 support for different end cap and mitre settings to control shape. 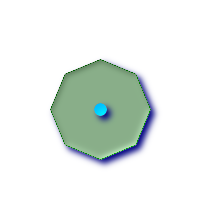 Negative radii: For polygons, a negative radius can be used, which will shrink the polygon rather than expanding it. Geography: For geography this is really a thin wrapper around the geometry implementation. It first determines the best SRID that fits the bounding box of the geography object (favoring UTM, Lambert Azimuthal Equal Area (LAEA) north/south pole, and falling back on mercator in worst case scenario) and then buffers in that planar spatial ref and retransforms back to WGS84 geography. Availability: 1.5 - ST_Buffer was enhanced to support different endcaps and join types. These are useful for example to convert road linestrings into polygon roads with flat or square edges instead of rounded edges. Thin wrapper for geography was added. - requires GEOS >= 3.2 to take advantage of advanced geometry functionality. Units of radius are measured in units of the spatial reference system. 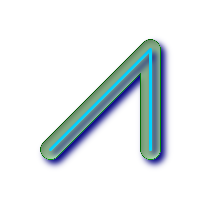 The inputs can be POINTS, MULTIPOINTS, LINESTRINGS, MULTILINESTRINGS, POLYGONS, MULTIPOLYGONS, and GeometryCollections. This function ignores the third dimension (z) and will always give a 2-d buffer even when presented with a 3d-geometry. People often make the mistake of using this function to try to do radius searches. Creating a buffer to to a radius search is slow and pointless. Use ST_DWithin instead.